Below is basic information on bail bond laws for Georgia concerning Bail Enforcement, Bounty Hunters, Fugitive Apprehension and Bail Bondsman. This is not legal advice. Laws change frequently, please check the links provided for possible updates and current information. code Of Georgia Title 17. Criminal Procedure Chapter 6. Bonds And Recognizances Article 2. Sureties Part 2. Professional Bondsmen. code Of Georgia Title 17. Criminal Procedure Chapter 6. Bonds And Recognizances Article 2. Sureties Part 1. General Provisions. code Of Georgia Title 17. Criminal Procedure Chapter 6. Bonds And Recognizances Article 3. Proceedings For Forfeiture Of Bonds Or Recognizances. Code Of Georgia Title 17. Criminal Procedure Chapter 6. Bonds And Recognizances Article 2. Sureties Part 2. Professional Bondsmen 17-6-50 Defines “Professional Bondsmen” and Gives Requirements For Such. persons who hold themselves out as signers or sureties of bonds for compensation are declared to be professional bondsmen. Code Of Georgia Title 17. Criminal Procedure Chapter 6.Bonds And Recognizances Article 2. Sureties Part 2. Professional Bondsmen 17-6-56 Establishes requirements and registration Bail Recovery Agents. 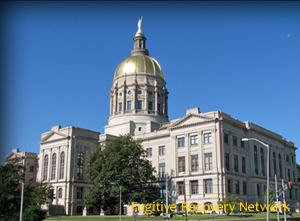 capturing a fugitive who has escaped from bail in this state for gratuity, benefit, or compensation. Any sheriff of a county shall require any professional bondsman who is a resident of or doing business in the sheriff’s county to register his or her bail recovery agents in that county. A bail recovery agent must be a United States citizen, 25 years of age or older, and must obtain a license pursuant to Code Section 16-11-129. (3) Any person who has been convicted of a felony by a court of this state or any other state; by a court of the United States including its territories, possessions, and dominions; or by a court of any foreign nation and has not been pardoned for such felony. (5) (A) Any person, the provisions of paragraph (3) of this subsection notwithstanding, who has been convicted of an offense arising out of the unlawful manufacture, distribution, possession, or use of a controlled substance or other dangerous drug. Georgia bail agent’s arrest authority. A Bail Agent’s arrest authority is implied in — Code Of Georgia Title 17. Criminal Procedure Chapter 6. Bonds And Recognizances Article 2. Sureties Part 2. Professional Bondsmen 17-6-56 — which defines a Bail Agent as a person who apprehends a principal on bail bond or who captures a fugitive who has escaped bail. Bondsman’s powers of arrest. — If the accused refuses to surrender, the bondsman can seize and hold him in order to make delivery. The bondsman’s rights include broad powers of pursuit into another state, arrest, and detention. No process is needed, as the bondsman’s powers arise, not from the powers of the state, but from the relationship of principal and bondsman (1970 Op. Att’y Gen. No. U70-78). Finally, another 1970 Georgia Attorney General Opinion (1970 Op. Att’y Gen. No.U70-83) distinguishes that a bail agent has right to arrest on an appearance warrant, but may not make an arrest pursuant to a bench warrant. Bounty Hunters are termed “Bail Recovery Agents” in Georgia’s statutes. Rules governing such are primarily given above under #2 – Licensing Requirements for Agents. Please check with the Georgia’s Department of Insurance, Licensing Board and/or Local Law Enforcement for the most recent updates. If you know of any updates to a Georgia’s bail bond laws, please provide as much detail as possible and send to us using our contact form.